What about @Hazel's upcoming interview with Gaby's story? I am sure doing that interview weighed heavy on Hazel for quite a while. Most people will get angry about this side of our tinnitus stories. So it was quite brave of Gaby's mother to speak out. I so agree @Markku. Back around 2002 through 2006 I was shunned for talking about the suicide of my friend and doing something in his name to prevent another loss. Being shunned was more than heartbreaking. People would say I was glorifying the aspect of a man who committed suicide. This broke me into pieces and into silence. So it is not easy to speak out about this for survivors of suicide loss. My life was destroyed. Others blamed my friend Dave and made him out to be a horrible person. The blame was placed on other conditions he suffered. Or they would say he was mentally ill. I knew the truth. I tried to speak out. The pain is indescribable. It still gets to me to even mention it. I don't know if it came out that way, but I am not "bashing" Tinnitus Talk. I applaud the work they do, and I do believe all of the wonderful people behind has a future treatment/cure as a high priority. I am more against the media that brought this interview. Those are the ones I am frustrated at. When will the community rise up and actually do something! If it hasn't happened over the past 100 years, it is not happening. I am more against the media that brought this interview. Those are the ones I am frustrated at. I know @TheDanishGirl. I admire how you speak out. Never stop. But the media issue probably will not change much regarding tinnitus stories. I guess in part they are trying to provide hope that people can survive and some do. There is such a fine line with this. Too much "reality" and people start shunning or blaming the sufferer. Too little and it seems like what is the big deal? I had a low volume, low pitch hum in my left ear around 250 Hz. During the last hearing test I took in Korea, I was in the audio booth and the low hum was clearly gone. Did that correlate with zero line hearing as well or was there some loss at that frequency? Thank you very much for the story on tinnitus which aired on 5News yesterday. Although I live in the United States I was able to watch it on the online support forum, Tinnitus Talk. People from all over the world belong to Tinnitus Talk because tinnitus does not discriminate based on location. And, many places do not have an organization like the British Tinnitus Association or Tinnitus Hub to be their voice and raise awareness. One topic that is repeatedly discussed on the forum is that stories which appear in-press or on-air only scratch the surface when it comes to the conveying the struggles we face. Many, like Isobel, receive psychological therapy and are able to move on with their lives. But, it’s not always a happy ending for those of us with tinnitus. Some say that seeing a story like Isobel’s makes them feel even more isolated because they don’t get better and have to continue living with the blaring noise. No one is even made aware of that side of the story. Tinnitus can be an invisible monster. It leads to depression and anxiety, loss of jobs, professions, loss of family, loss of everything including loss of life by suicide. If you were to visit Tinnitus Talk, which you are invited to do, you would find people in all these situations. The fact is, there are no effective medical treatments for tinnitus, not even for those most severely affected. More biomedical research is needed, yet it remains seriously underfunded because few appreciate the importance of the condition and its impact on quality of life. The devastating effects are rarely told. This link will take you to a recent Tinnitus Talk Podcast with preeminent researcher, Dr. Josef Rauschecker. https://www.tinnitustalk.com/podcast/ He and Hazel, the interviewer, talk about their tinnitus, discuss the causes of tinnitus in the brain, past research and future plans including the obstacles Dr. Rauschecker faces to obtain the funding to continue. I hope you or a member of your staff will take the time to listen to the podcast. Those of us on Tinnitus Talk and others outside the forum have found it inspiring. We are very grateful the BTA and Tinnitus Hub speak up for us. And, thank you again for helping to raise awareness. It’s a start, but there is more to be told. "Tinnitus Sufferers at Risk of Isolation Say Charities" What a horrible headline. "At risk of suicide/depression" would be true and would make more of an impact. For some of us, isolation = peace and pure joy. Hi Danish Girl, Perhaps you can put that frustration to good use. Why not send an email to Catherine Jones expressing your frustration? It's a bit of an art because you don't want to burn any bridges, as we say in the US, or make things difficult for BTA later on. So it should be a balanced message. I think you can do it and we all support you. Will you give it a try? If you'd like an "editor" you can send it to me by PM, I'd be glad to look it over if it would feel it would help. I could do that yes. Give me a couple of days. But what do you mean about a balanced message? I will of course use proper language, and it will probably be something resembling my first post in this thread. Do you think that would be okay? Sounds like a good idea - could write something that could be sent to media local to you too - it's pretty easy to find the health editor or similar for a few outlets. See if you can get something covered locally, if you both can turn it around quickly enough and link it to Tinnitus Week, then there's a bit of a news hook. I'm not aware if there's been any coverage of Tinnitus Week in Denmark or the U.S., etc - this might be one way to generate it where there isn't any coverage and reach a whole new audience. There's a whole world out there, let's get all countries talking about tinnitus, understanding the impact and the need for a cure. A longer term a project might be to develop a 'how to' guide on how to write up your story for media, and how to research where to send it onto. @TheDanishGirl just write what is in your heart then the words come easily. @TuxedoCat will use her talents to make it your own and make it heard. That's good news! What I mean by balance is that the email present the good and the not so good, the plus and the minus, criticism and praise - I think you get the idea. The tone of your emails is excellent, not aggressive or angry or bitter. 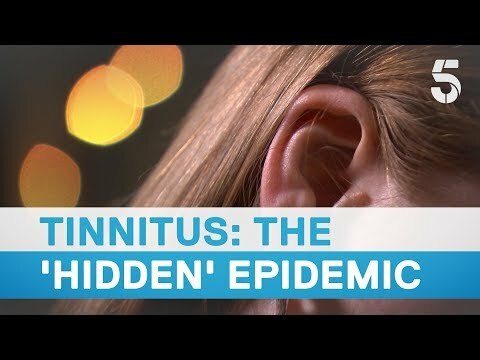 We have a tinnitus organization in the US, why are they not contacting the media during Tinnitus Week? My plan right now is to raise awareness to hearing loss and tinnitus by working with an audiologist to come up with an educational piece for junior high or high school students. And I hope to raise awareness in conjunction with Tinnitus Talk in other ways. I'm coming to realize I need to stay off the forum for a bit to make more headway on some of these things. But your suggestion of finding the Health Editor is a good one and I will certainly look into that. I doubt I can turn anything around this week, it's half over. A longer term a project might be to develop a 'how-to,' guide on how to write up your story for media, and how to research where to send it onto. Another excellent idea. Does this exist already? There is good information scattered around this forum. For example, there was a discussion about fundraising and Allan wrote something that could be turned into a good Q&A or FAQ for how to address concerns and resistance when someone is asked to donate. I've had a thought about creating a thread called "Issues Management" where we could put information like how is tinnitus defined, demographics, brief descriptions of current research, templates, how to pieces. @TheDanishGirl just write what is in your heart then the words come easily. @TheDanishGirl Excellent advice - follow it and you can't go wrong. I had to learn how to delegate my time. For example, I set boundary lines on how much time I spend on the internet. In the first year I was so distraught and house bound from tinnitus. I spent too much time on support boards. It was the only place I felt understood. I got too close to people. I got lost in the black hole of darkness and noise. But no one could tell me anything back then. I had to learn the hard way. I had to take those steps to the outside world. And I did. I understand you so well. I really hope you write lots more. We need to be recognised. You need to be recognised. We need our experience to be validated. Those lucky lightweights (who have a touch of mild Tinnitus) can never write with, or interview with, the anguish and depth of feeling that we have, obviously for the simple reason that they lack the experience. This is the reason why I get somewhat upset when tv celebs present an article on “T” as a bit of a nuisance, or patent idiots like Letterman joke about what is a potential killer. At the same time as stressing the absolute severity of this wretched thing, I think it is important to leave the door open to, at least, hope of a better adjustment. We know that life can never be the same. So it will be different, but may still be worth living, if we can just hang onto that possibility. Please write some more DG. PS - I wish I was a lucky lightweight. This example offers me nothing. Irrelevant to what I have. - good job he intrigues somebody! when you are clearly a ‘people’ yourself?? Help me out here Bill. I don’t get it mate.....? You must admit - I’m trying Bill? @TuxedoCat I attended several presentations given by the former OHSU Tinnitus Clinic and developed in part by Dr. Billy Martin and his daughter who created Jolene. The grade school kids were very interested. For some of us, isolation = peace and pure joy. Not one is respectable or industrious over the whole earth." I agree that hell is other people. Not a day goes by when I don't say that I wish people would just leave me alone. But I've also known great loneliness. So I like Whitman's solution to the problem of other people. Oh - not me @SugarMagnolia surely? I thought we were tight...? The news and media are not going to do exactly as we want, we have to try and shape the story and make them see the benefits and impact it will have, which may take some time and may never get to the place that many want it to. Your kitties have vouched for you. So you're okay.